Aw yeah, y’all, I worked it out with this one. I was trying to make my mama’s sour cream coconut frosting for Ninja Barb’s birthday cake. When I got to the store, they were out of sour cream. Seriously, how is that even possible? So I grabbed a thing of whipped cream cheese and figured I’d manage something with it. When it came time to mix up the frosting I dumped the cream cheese in the mixer and added some milk. Then I kept adding powdered sugar until it looked about right. Then I just folded in the coconut and whipped topping. Then I tasted it. And for a fleeting moment, thought about locking myself in the laundry room with it. Cook cake in 2 or 3 layers and cool completely. With an electric mixer, whip cream cheese, milk and powdered sugar on medium speed until smooth (about 2 minutes). Fold in coconut and whipped topping and mix until smooth. Refrigerate frosting for about 20 minutes then frost cake. 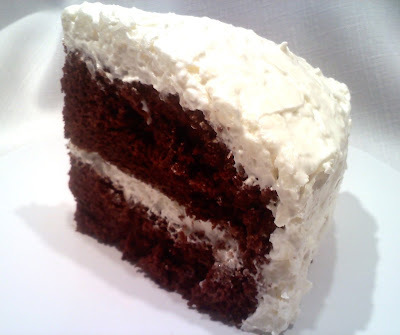 Once frosted and after serving, store cake in refrigerator. Its to fight over! ya'll back off!